July 21st, 2015 | Moving Tips. Moving is expensive, especially when you are moving across the country. The bottom line is simple: the more stuff you move, the more it’ll cost you. There are plenty of ways to cut the weight of your shipment, which will in turn save money when you move. 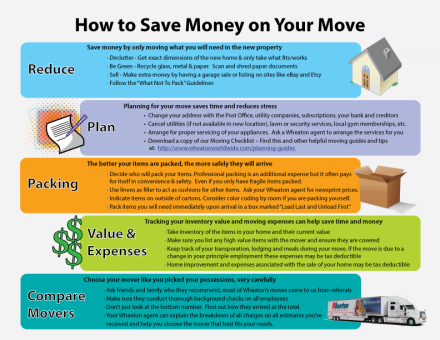 Check out the infographic below for easy and creative approaches to save money on your upcoming move. You can find more money saving tips and tricks on our website.